Item received may not be identical to the item pictured. Autograph size & location may vary. Jeff Bagwell was one of the best first basemen to ever play the game of baseball. His great fielding and powerful bat won him the Rookie of the Year, MVP, and multiple other awards. 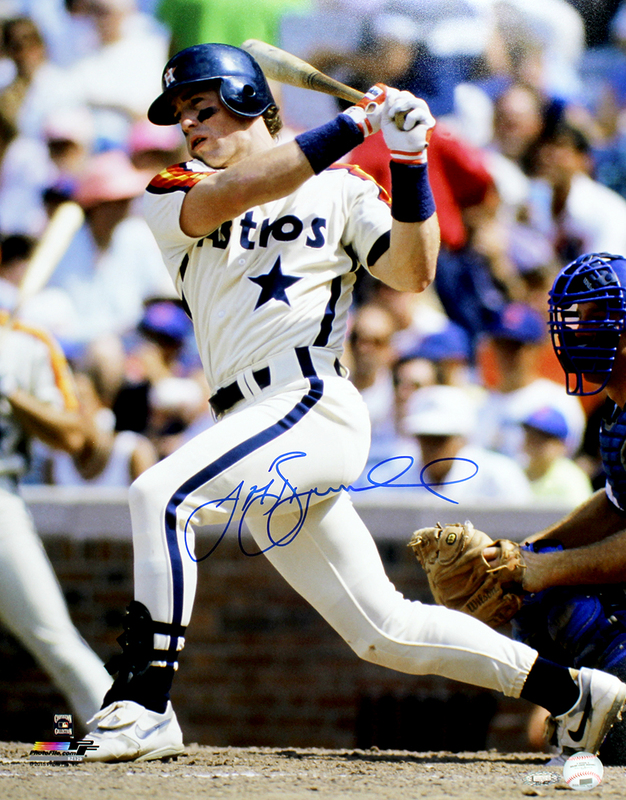 This Houston Astros 16x20 photo has been hand signed by Jeff Bagwell. Each autograph is guaranteed authentic, and includes an individually numbered TRISTAR Authentic hologram.